I found this column, with advice on a healthy diet, in an issue of the Marion Progress from October 19, 1916. We’d probably do well to follow the same advice today. After all, who doesn’t want to avoid biliousness? We’re in the midst of uploading issues of The Roanoke News (Weldon, N.C.) from 1878-1922, and have been enjoying a particular column called Local Intelligence. Running fairly consistently on page 3, the Local Intelligence section included short sayings, weather reports and predictions, farming and medical advice, the prices of various goods, as well as general commentary on society, fashion trends, local events, and politics – often with a bit of humor! For more of these bits of wit and wisdom, see the full Local Intelligence section for May 22, 1884, and be sure to take a look at other examples of the column in issues of The Roanoke News. Randolph County, 1779-1979, published by the Randolph County Historical Society and the Randolph Arts Guild. Sketches of My Asheboro: Asheboro, North Carolina, 1880-1910, by Sidney Swaim Robins. The Architectural History of Randolph County North Carolina, by Lowell McKay Whatley, Jr. The Story of Naomi Wise and the History of Randleman, by the Rotary Club of Randleman, N.C.
Seagrove Area, by Dorothy Cole Auman. Dan Tucker and other Randoph County Heroes in Folklore, by Barbara Presnell. The 39th annual International Whistler’s Convention is now in full swing in Louisburg, N.C., the self-acclaimed whistling capital of the world. 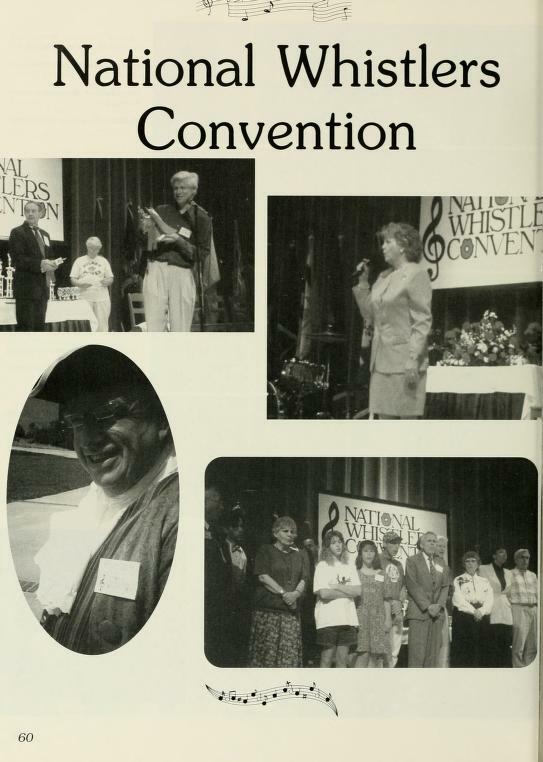 The competition lasts for five days and is full of interesting rules and regulations: whistlers enter the contest in three categories – Classical, Popular, and Allied Arts (in which a performer can combine whistling with other talents, such as miming, singing, or drama) and are expected to follow a Whistler’s Code of Ethics. Louisburg College is an official supporter of the convention, and there are some great images from the event over the years in their student yearbooks on DigitalNC.org. Whistling may be a serious business, but it certainly results in some pretty funny faces. A large collection of employee newsletters from Piedmont Airlines is now available on DigitalNC. The newsletters are from the collections of the Piedmont Aviation Historical Society. Piedmont Airlines was a mainstay at airports throughout the southeast from the 1940s through the 1980s. The Winston-Salem-based company often flew into smaller airports that were not served by larger airlines. In North Carolina alone, Piedmont flights were available from Rocky Mount, Elizabeth City, Hickory, Morehead City, Southern Pines, Fayetteville, Kinston, and Asheville, among other towns, not to mention larger airports in Charlotte, Greensboro-High Point, and Raleigh-Durham. Early issues of the employee newsletter are simple, typewritten sheets with reminders and instructions to airline employees. By the 1960s, the Piedmonitor had a more professional look, and served not just to inform employees but to promote the airline and celebrate its accomplishments. The Piedmonitors from the 1960s contained features on cities that were served by the airline, photos of celebrities flying on Piedmont, news about new airlines and routes, and many articles about employee honors and charitable work. Piedmont Airlines continues to operate as a subsidiary of US Airways, flying to more than 50 cities in the eastern United States and Canada. There are a lot of historic buildings represented in the Images of North Carolina collection on DigitalNC, but it’s not often that you have a chance to buy one. I just saw through the Preservation North Carolina website that the Old Ashe County Hospital is up for sale. For just under half a million dollars you could own the building that served as the community hospital for nearly 30 years. 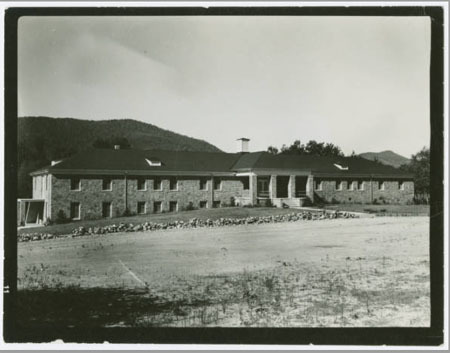 There are a handful of historic photos of the building on DigitalNC, part of the large collection of images from the Ashe County Public Library. 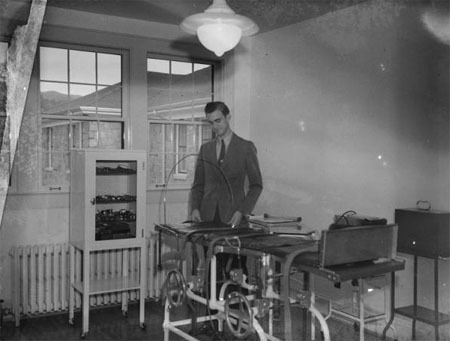 Most of the photos show the exterior, including a couple of the dedication of the hospital, but there is one showing an early operating room. The Sinking of the Titanic as Reported in Mebane, N.C.
With the centennial of the sinking of Titanic in the news all weekend, I wanted to see how the tragedy was covered in small-town North Carolina papers. There is a rapidly-growing list of titles available in the North Carolina Newspapers digital collection, so far we have only one title from 1912: The Mebane Leader, a weekly paper nominated for digitization by the Alamance County Public Libraries. The first issue of the paper to come out after the Titanic disaster was on April 18, 1912, a few days after the ship sank. While North Carolinians in the early 20th century didn’t have the vast array of information sources that we do today, I suspect that news of this magnitude would have reached town before the weekly paper was published, which might explain why the sinking of the Titanic received a smaller headline than a bank robbery in Hillsborough. Then again, the paper may simply have placed a higher importance on local news. The story itself is pretty short, and focuses almost entirely on the wealth of the passengers on board, rather than the tragedy of such a large and dramatic loss of life. Issues of the Fayetteville Observer from 1851 to 1865 are now available on DigitalNC.org. The Fayetteville Observer has long been one of the most important papers in North Carolina, covering the entire Cape Fear region. Over 1,300 issues are now online, an invaluable resource for anyone studying the Civil War era in North Carolina. This title was nominated for digitization by the Cumberland County Public Library, home to an excellent local and state history collection at its main branch in Fayetteville. Lew Powell’s On This Day In North Carolina (John F. Blair, 1996) alerted us to an article from a Charlotte newspaper in 1825 criticizing the first appearance of a Sunday newspaper in the U.S.
A new paper has lately been established in New-York, and is issued on Sunday! This, we believe, is the only instance in the United States, of a paper published on the Sabbath. The Evening Gazette, of Boston, is partly a Sunday paper — a small portion of it, under the head of “second edition,” is dated on that day; though we are not aware that it is distributed to subscribers on the sabbath. Sunday papers in Europe are quite common; but it is to be hoped they will never become so in this country. If they are tolerated here, we may look next for the introduction of Sunday Theatres, and other fashionable vices of Europe. We are as little inclined to bigotry as any one: but it certainly appears to us, that a proper reverence for the sabbath — setting aside its influence on the future destinies of man, — is essential to good morals and good society, and consequently, that its open and wanton profanation is destructive to both. 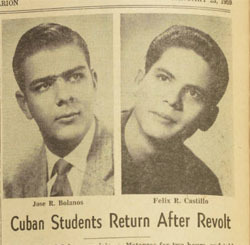 Apparently there were, at the time, several students from Cuba attending the small college in the North Carolina mountains.